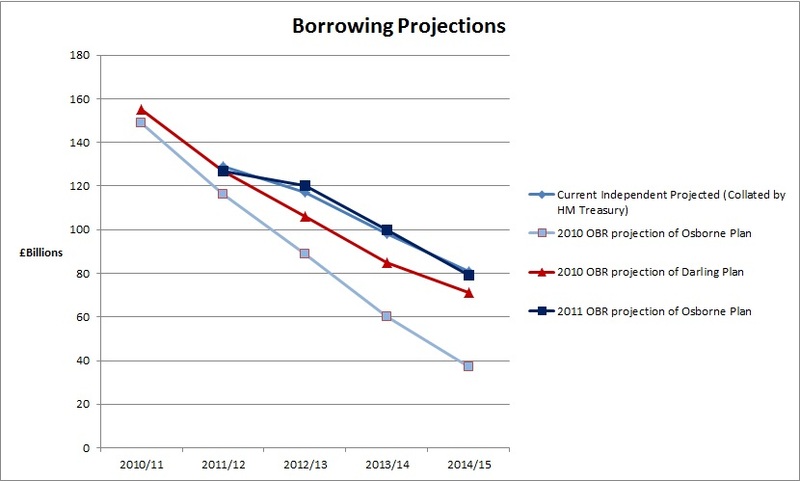 In his Autumn statement, George Osborne confirmed that the Office for Budget Responsibility (OBR) now projects that the government will borrow more than Alistair Darling was projected to at the time of the last election. In fairness to the Chancellor, he claims that if the Darling plan had been implemented, given low growth, the public sector would have borrowed around £100 billion over the course of the parliament than the Coalition is due to. However, the argument between the frontbenches is about how much the additional Osborne cutting strangled growth. Whoever is right, we now know this: The government is due to borrow at levels it once said were irresponsible and a sure route to disaster. And did Darling’s projections factor in the (albeit inevitable) collapse of the Eurozone? The Darling plan was based on predictions for growth that were at least as optimistic as those Osborne used. This is glorious hindsight on behalf of Labour. 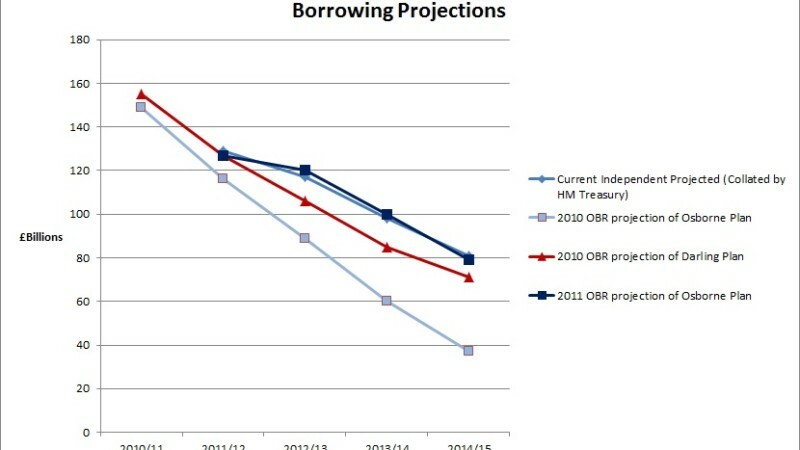 Borrowing would be even higher now if Darling was still chancellor. Darling totally underestimated the effects of his stimulus package during his last year as chancellor, the deficit was much less than projected (Darling and Treasury really underestimated the benefits of the stimulus package). And of course as the Tories unwound the stimulus package fast the projection and the actual deficit diverged in completely the opposite direction where we have had much higher deficits than projected because the stimulus was unwound. A Beautiful example of Keynsian economics at play, demonstrated by the introduction of the stimulus and the winding of it back. In a slump and low interest rates can’t get you out then government stimulus works. As to the impact of the eurozone, that really hasn’t impacted us yet, it will do and soon. So far we’ve been a drag on eurozone economies as the eurozone has grown more than us. What, so far, have the government treasury paid out as a result of the collapsing eurozone?